It’s time to heal! Have you been looking for an all-natural way to connect & heal with your pets? Our special energy healing classes taught by guest instructor, Ellen Schaffer, are just what you need! Each person and animal has a unique soul. Ellen takes great care to meet you and/or your animals on a soul level so that you can receive what you need in an authentic way. She will also take time to share knowledge and insights to help you on your journey. We truly want you and your animals to live your best, most joyous lives! Join us for unique classes taught by Energy Healer & Animal Communicator, Ellen Schaffer, right here in the Woofinwaggle studio. Participants will learn what energy healing is, why it’s your greatest asset and your best medicine, how you and your animals can benefit from cleaning, protecting and strengthening your energy fields, and simple energy healing practices you can start using today. All participants receive a gift certificate for $10 off a service with Ellen Schaffer. If you’ve ever wanted to speak to the animals and hear them speak back clearly, this is the class for you! Learn how to communicate intuitively through a series of easy techniques that we’ll practice together in a fun, relaxed setting. Pre-requisites: a love of animals, an open heart and an open mind. No prior experience is necessary, though it may be helpful to read Marta Williams’ book “Learning Their Language” first. (Please leave your animal companions at home for this class). Get your friends to come along, we will need a minimum of 10 people to conduct this session. Price: $135 – this is a 3 hour session. Learn how to bring positive change to all aspects of your life by developing your intuition – your internal wisdom that helps you make decisions. Woofinwaggle is proud to host special classes offered by Ellen Schaffer. Ellen is a Jewish energy healer, and combines her love & knowledge of Judaism with her skills & passion for energy healing. She helps people and animals feel better by restoring the flow of energy in and around their bodies, releasing blocks in their physical, emotional and spiritual fields. As an animal communicator, she is grateful to give back to the animals by sharing with their humans what they have to say about how they feel, what they need and how we can help them. Ellen is 1 of just 7 people certified at the highest level (Level 3) of Quantum Crystalline Energy Healing, trained in all 4 levels of Touch for Health, and will be completing a rigorous Master’s Certification in Animal Communication through Marta Williams in early 2019. To learn more visit: https://www.ellenschaffer.com. 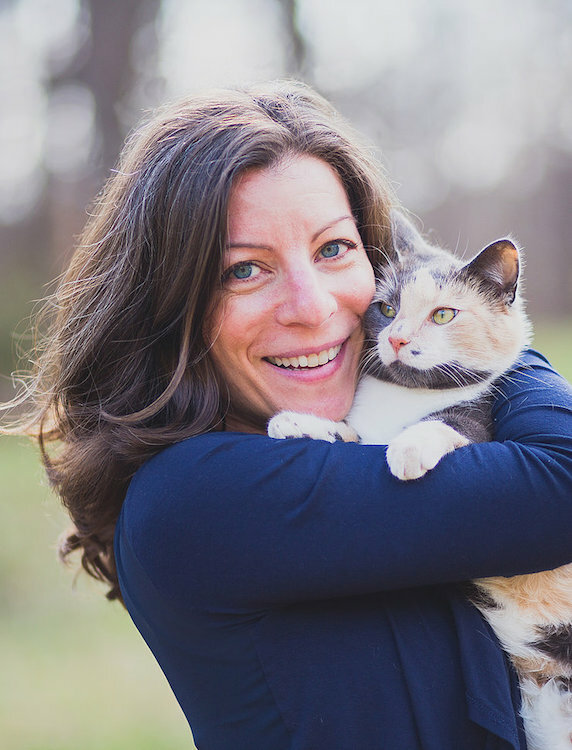 Sign Up for Our Animal Communication & Energy Healing Classes!